At 14 years of age, Roger Cooper worked for an aviation company as a janitor. An executive corporate jet was being maintained onsite daily. This aircraft piqued his love and passion for gas turbine engine technology. From there, he went to the Air Force and later a career with the airline industry, in the propulsion engineering office. Roger’s career in the aviation industry lasted more than 35 years before he brought his talents to Chevron. 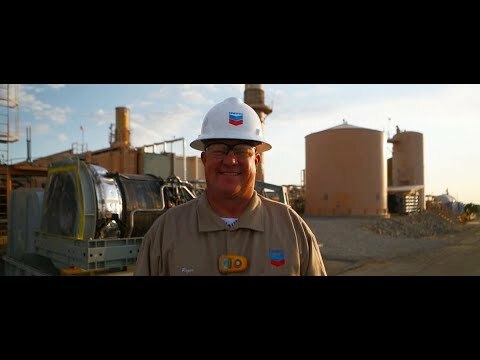 As part of the Chevron Power and Energy Management team, Roger assists business units operating gas turbines with management of their engine fleet, which entails oversight with the overhauls of the engines, the onsite periodic troubleshooting and maintenance, fleet reliability metrics, as well as the maintenance planning and execution of the engines. These engines are providing power for Chevron’s operations around the world to produce oil and natural gas. The energy industry and the airline industry cross over in leveraging airline industry safety rules and certification policies, both in periodic maintenance and overhaul, and in repair and maintenance practices of gas turbine engines. "These gas turbines can generate as much as 100 megawatts of power per engine. They are very efficient, very reliable and can develop a very large amount of power for our operations." Roger enjoys the technical challenges of operating these engines, and troubleshooting the anomalies. As he says, “Each engine has a little bit of a personality, each one is different. Keeping their performance at the highest level is what I really enjoy about this job.” Fundamentally, it's important to always follow the same processes regardless of which engine it is or where it comes from. Each engine is cleaned, inspected, repaired, re-inspected, reassembled, and then tested to make sure it meets the build specification requirements. "The hands-on part is the fundamental engineer in me and what I love to do."